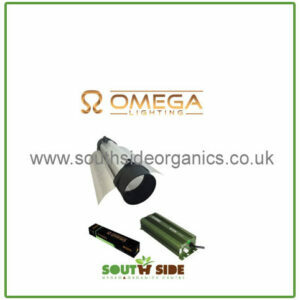 Omega Lightings V-PRO 1000W double ended full fixture is an efficient state of the art 240V professional electronic Lighting unit. Combined with Omega double ended MH and Dual Spectrum 1,000W, 400V electronic high frequency lamps, this fixture produces professional growing results. The output range can easily be adjusted between 600W and 1,150W by using the fixtures built in dimmer switch.